The University of Sheffield is to receive a share of £350m to train postgraduate students in engineering and physical sciences to help boost the UK’s economic growth. The funding has been announced on the Friday 22 November 2013 by Universities and Science Minister, David Willetts, in a bid to produce highly trained scientists and engineers. It will see the launch of two new Centres for Doctoral Training (CDTs) at the University and the renewal of an existing CDT recruiting a total of 32 PhD students per year. The students will work in the specialist areas of Integrated Tribology, Polymers, Soft Matter and Colloids, and Machining Science on four-year training programmes which are designed to develop their professional skills and experience. A major part of the CDTs will involve collaboration with both national and international companies to bring both insight and relevance to the students’ training and reduce the gap between academic theory and industrial practice. 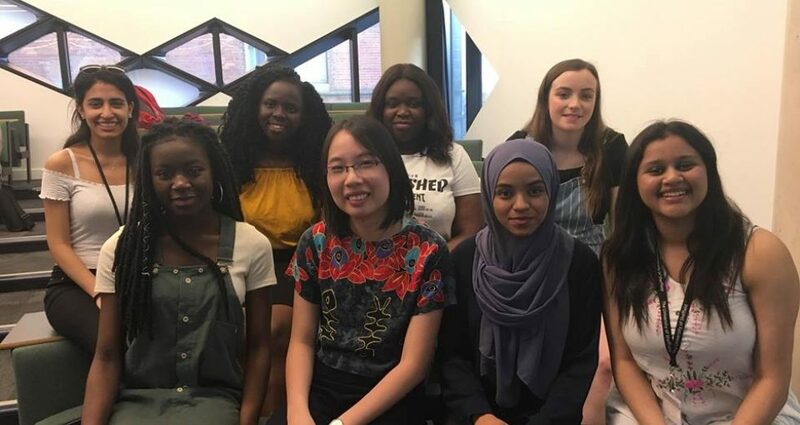 The new Sheffield CDTs are among 70 – spread across 24 universities – being funded by the Engineering and Physical Sciences Research Council (EPSRC). Professor Rob Dwyer-Joyce, Head of the Department for Mechanical Engineering, Director of the Leonardo Centre for Tribology, and the lead academic for the new Tribology CDT, said: “We are delighted with this award and the recognition it brings to our discipline. Tribology is central to the way our machines function, and yet so few people know what it is – and even less are skilled in its application. The grand challenges facing the nation such as high speed rail, reducing energy consumption and fuel efficient aircrafts all have tribology at the very heart. Together with the University of Leeds and a raft of industrial partners, we will be creating a whole new generation of trained tribologists to help solve friction, wear and lubrication problems. The second new CDT being launched at the University of Sheffield in Polymers, Soft Matter and Colloids is being led by Professor Steve Armes in the Department of Chemistry. He explained that this important research area underpins speciality chemicals, paints and coatings, materials, healthcare and home and personal care products, as well as many other sectors. This new single-site CDT will allow us to work closely with many industrial partners ranging from SMEs to major global companies such as AkzoNobel, P & G and Lubrizol. Together, we will provide bespoke training to equip 50 scientists and engineers with the technical skills that they will need to address the many major technical challenges facing the UK. Through renewed funding, the Machining Science CDT collaboration between the University of Sheffield’s Advanced Manufacturing Research Centre (AMRC) with Boeing and the Faculty of Engineering will continue to train students in the AMRC’s state-of-the-art facilities. The centre is already supported by global businesses including Boeing, Rolls-Royce, Sandvik Coromant and Messier-Bugatti-Dowty, and leading manufacturers such as Technicut. The funding will allow the centre to increase capacity and continue its work developing students and allowing them the opportunity to build relationships with talented engineers at the start of their careers. Andrea Haworth, centre manager of the Industrial Doctorate Centre in Machining Science said: “This additional funding recognises the fundamental importance of machining science research to the UK economy. It is also a strong endorsement of the effort put into building the centre by staff, research students and, of course, the industry sponsors who make a substantial commitment to each project. Increasing the capacity of the IDC means we can help even more companies drive research that will bring real benefits to their business, and give more graduates a flying start into a professional career as a research engineer.